Phiten Grand Opening at The Wellness Store Phiten Official Retailer! 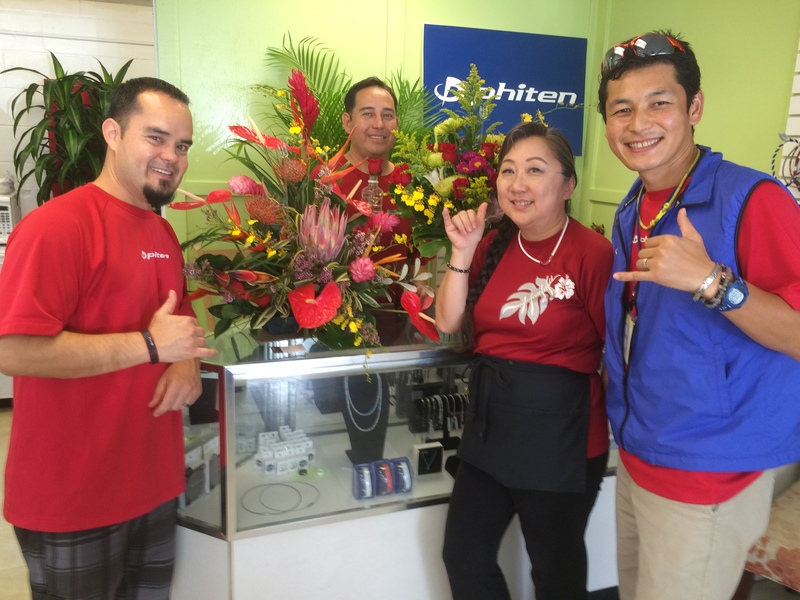 Phiten Hawaii Phiten Grand Opening at The Wellness Store Phiten Official Retailer! We just had a grand opening day on 4/21 (thur) for The Wellness Store Phiten Official Retailer. Thank you so so much for all the customers who came on the Grand Opening Day and had fun with us! We had all food, drinks, music, and all fun together!! The Grand Opening Campaign is still going until 4/30(Sat). The main campaign is “Buy One Get One 50 % off” on all Tape, Disc, Lotion, Gel, and Cream Section!!! As you would expect, these are the Phiten Core Items that many people want to stock up. This is the great chance!! Phiten Shop History in Hawaii…..
So… many of you might know that we Phiten had to move Phiten shop from the one in Kapiolani and Keamoku to Pearlridge Shopping Center. Then, we had to close it down in December 2014. Phiten Shirokiya was the only choice for our customers to find a good variety of Phiten Products. But as you know, the space was so limited…. We could not display the products we wanted… Moreover, we could not offer our Phiten Body Care to each customer at Shirokiya since we had a limitation in space as well.. But since Phiten Shirokiya moved to a store as The Wellness Store Phiten Official Retailer, we now can offer many things for our customers. As I mentioned, the space in Shirokiya was so limited. Here, we have about 4 times more space than it was in Shirokiya. Now we can showcase by product categories, Phiten Necklace, Phiten Bracelet, Phiten Supporters/Braces, Phiten Sleeves, Phiten Tapes & Lotion, Phiten Socks/Insoles, Phiten Tri-fold Cushion, Phiten Pillow, Phiten Body Soap, Phiten Drinking Water, Phiten Ladies Underwear, and many more!! Metax Cream is one of the New Products that we brought in for the Grand Opening Day. This is the Phiten Cream with the the most recent Phiten’s Highest Technology available. This item is available only here at The Wellness Store for now. Please visit us here and try our sample! You will be surprised when you use this…. This is what we can start offering to all of our customer again. 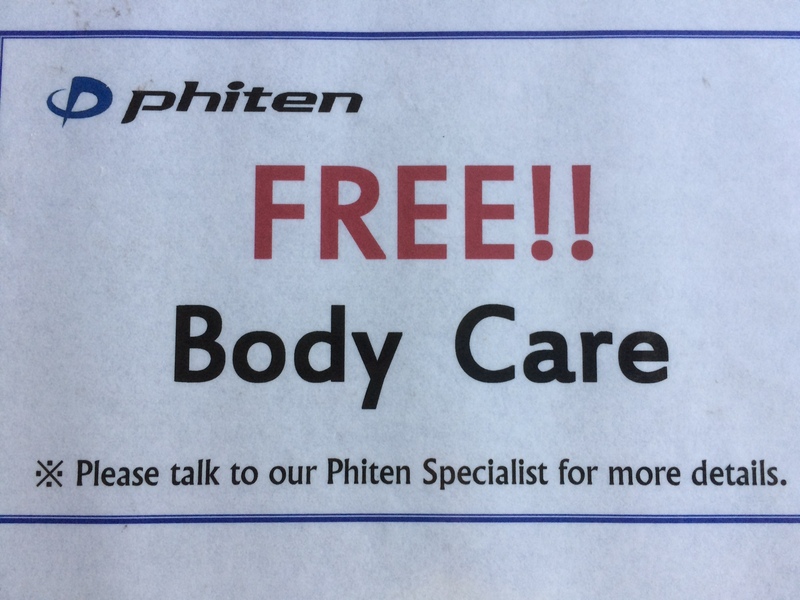 It was really hard to have Phiten Body Care in the limited space. Now we have a plenty space with a big table and chairs at The Wellness Store Phiten Official Retailer. You can sit, relax, and tell us about what your concerns are about your body condition. We can start from there to improve your health…. Of course, we can explain more about what Phiten is about for your clearer understanding. You could take a look at our technology right there right then as well. It was hard to find a parking spot at Ala Moana Shopping Center near Shirokiya especially. Now at The Wellness Store Phiten Official Retailer, we have a huge designated parking space only for customers for this building! Of Course, it’s all FREE! 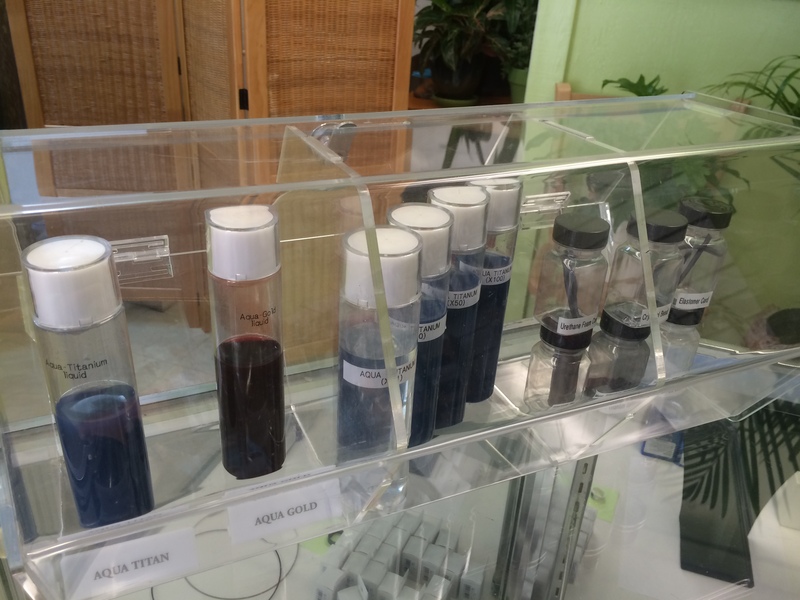 The Wellness Store is located at 1430 Kona Street #105, Honolulu HI 96814. You will not miss it since we have 2 Phiten Flags right at the entrance of the parking. But just in case that you get confused, please call at 808-228-9957. So it is on Kona street and right across the street from Ala Moana Shopping Center. You could walk from there as well. It’s in the same building with Manichi Ramen. 4) Phiten Stamp Card Returned!! I know that some of you might have had accumulated all the Phiten Stamps from old Phiten Shops. The Wellness Store Phiten Official Retailer will honor your old Phiten points as well! If you still happen to have old Phiten Point Card, please bring them in! We would like to meet all of our customers there at the store like how it was at our old Phiten Store. We want to chat, laugh, and have a great fun time together! Please, please feel free to stop by The Wellness Store Phiten Official Retailer any time so that we can have fun! Also, if you know anybody near you who have a concern about their health, please bring them in with you. We are here in Hawaii to help you improve your daily healthy life.